tuscany-bedandbreakfast.com provides a listing service. We cannot be held responsible for the accuracy of information contained in the advertisements. It is the owner's responsibility to accurately describe their property through our listing service, and it is the renter's responsibility to confirm the accuracy of the listing with the owner. tuscany-bedandbreakfast.com is not responsible for inaccuracy and/or omission of information. None of the information published on this web site is warranted by any party. In case the description (or parts of them) provided by the owners regarding their property were incorrect or misleading tuscany-bedandbreakfast.com reserve the right to cancel such property from its database. 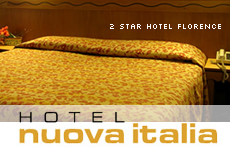 tuscany-bedandbreakfast.com is not a rental agency but a listing service. tuscany-bedandbreakfast.com should not be construed in any way to be a party to any contract or as an agent to either a Renter or Owner unless explicitly so stated by tuscany-bedandbreakfast.com. All agreements between Renters and Owners and their agents are the responsibility of the parties involved in that agreement. tuscany-bedandbreakfast.com is not responsible for any disputes arising out of such agreements. 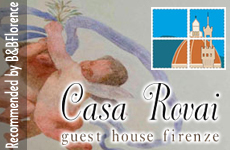 All disputes arising from the use of tuscany-bedandbreakfast.com which include tuscany-bedandbreakfast.com or its owners as parties to the dispute shall be resolved in a court of law in Florence, Italy. By using or continuing to use the services of tuscany-bedandbreakfast.com, you agree to the terms and conditions of this disclaimer.